ATG welcomes you to South Africa – truly a world in one country, unsurpassed scenic beauty and extraordinary diversity; breathtaking mountain ranges, incredible wildlife, desolate semi-deserts, subtropical forests, sweeping white beaches and the renowned winelands with its fruit orchards and beautiful wine estates and our wonderfully friendly and hospitable people! 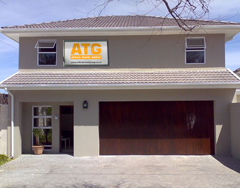 ATG – Africa Travel Group was formed in 2004 and we are celebrating our 10th anniversary in July! ATG - Africa Travel Group with an excellent team of dedicated and experienced consultants are committed in offering our clients expert advice and superb management with all travel requirements. Whether you require a rental car, hotel accommodation or the services of a qualified guide on your journey in South Africa or any of its neighboring countries. A modern fleet of vehicles are available to take you on our variety of excursions, all conducted by experienced, multilingual tourist guides. Since 2012 we are a proud member of the Fairtrade Holiday Label promoting responsible tourism. We do have a variety of selfdrive tours, please contact us for additional information. ATG is also a member of the Travel Smart Crew, an accredited travel services company, jointly owned by a group of well established inbound DMC specialists. We look forward to assisting you with your personalized travel plans sharing our enthusiasm for the wonders and beauty of Southern Africa with you.